School gardens are an exciting way to show students how their food grows. The journey from seed to plant to lunch tray is eye opening, and helps connect kids with the food they eat! Gardens offer hands-on learning opportunities and can be tied into nearly every curriculum – math, science, art, social studies and more. 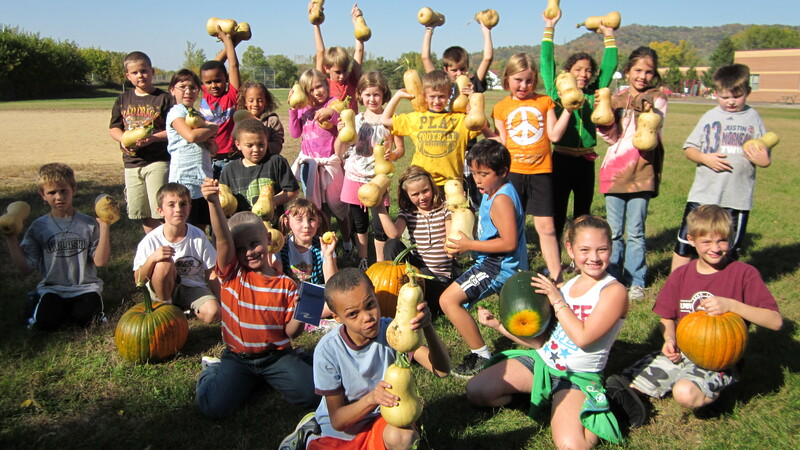 Many area schools also serve the foods grown in their gardens for school meals, and some offer harvested foods for students to bring home to their families. School gardens currently exist at the following public schools in the Coulee Region, with more being added in the near future. Please contact Tiffany or Maggie for more information!